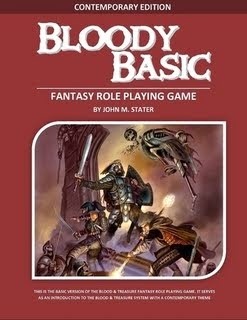 I like the idea of taking the building blocks of D&D and then twisting it around a bit. I did a post some time back about changing the planes into different time periods. In my own NOD setting, I combine the concept of the planets with the planes, and I put Hell smack dab in the center of the world, fueling all those evils that haunt the dungeons of the world. 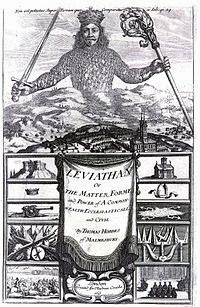 Today I was thinking about the idea of the Leviathan, and it occurred to me that it might be interesting to combine a campaign world's oceans with the concept of The Abyss - i.e. the plane of chaotic evil demons. The demons dwell in the absolute black, inky depths, and their minions occupy the continental shelves and lurk just beneath the waters that lap the shores of the world. Imagine the place the evil sea races would hold in such a campaign world. They would be more directly the servants of Chaos (i.e. the Sea) in its war against Law (i.e. the Heavens), with the land the battleground between the two. 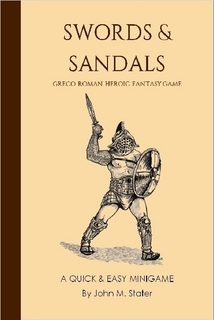 Orcs, despite their presentation in Tolkien and thus D&D, seem to have had a connection to the sea in folklore, and it would be simple enough in a campaign world to make this connection more implicit - making them Chaos' "beach head" against the air breathers. Many myth systems personify Chaos and the Sea as one in the same entity, and make it the mother of monsters. In the old reckoning of the ancient Israelites, the land masses floated in the ocean, the Abyss, and this would place that cold plane of evil beneath the earth, and thus in a wonderful place to disgorge horrors into the equally inky black landscape of the campaign world's dungeons. 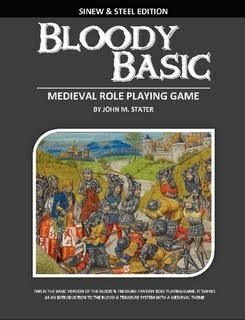 Bloody Basic - Classic Edition is now up for sale as a soft-cover book. 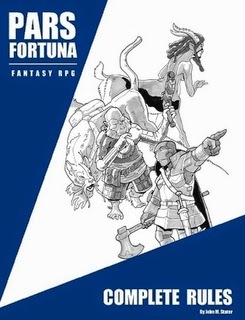 A game with characters levels 1 to 6, with elves, dwarves, halflings, fighters, clerics, magic-users, thieves and all the rest of the classic fantasy elements, for $8.99. 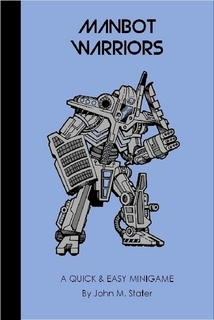 I'm working on getting the Contemporary Edition out pretty soon as a PDF, and then a hard copy, and then the other editions will follow - Fairy Tale, Chaos, Apocalypse, Jules Verne, etc. 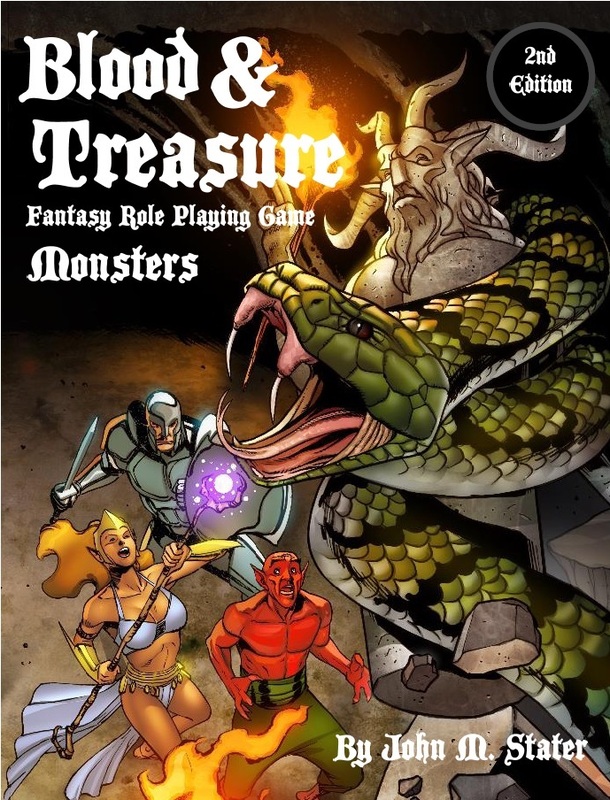 The PDF of the Monster Tome is now available for download for $6.99. 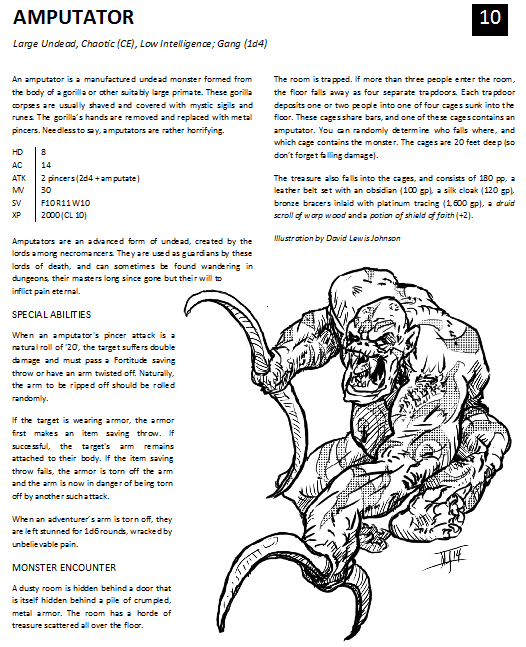 It includes 172 pages of monsters, with 258 monster entries. 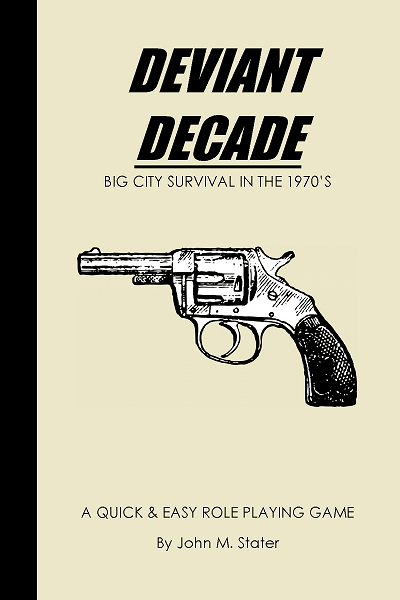 I hope to have the softcover and hardcover books up for sale in two or three weeks. 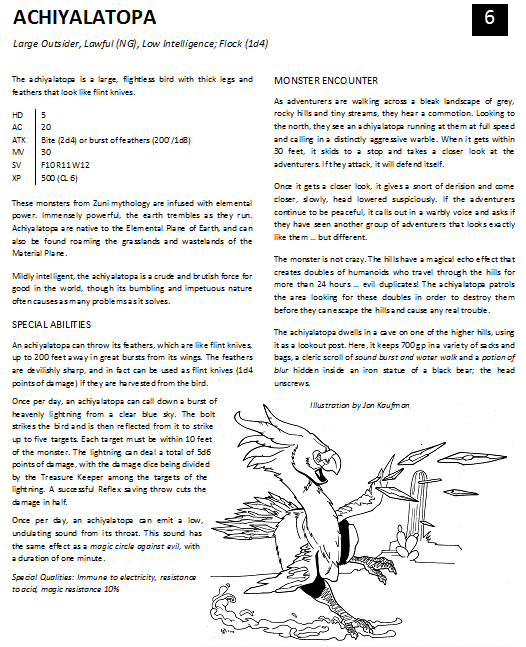 As I often do, I'll be offering a free PDF to those who buy the hard cover edition of the Monster Tome, so if you're planning on buying the hard cover later, you'll probably not want to buy the PDF now. Monster Tome II will have to wait for 2015. Just so this isn't a completely commercial post, here's a little notion for using a fate mechanic in your adventures. When you delve back into heroic fiction, back to the days of the Greeks, Romans and Norsemen, it's hard to avoid the concept of fate. The Fates and Norns measured out the days of a man or woman's life and cut the string when it was time for them to die. 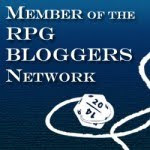 If you're running a game set in these times, or any time if you like it, you might want to inject a little fate into the game. You could also inject Doctor Fate into your game, but that's a matter for another post. Obviously, you don't want to use fate as a way of arbitrarily cutting a character's life short. You can, however, use it as a way to determine whether character's are beloved or cursed by "the gods". You could do this in one of two ways. The first is to randomly determine a person's fate for each adventure, every adventure. First, determine which deities are looking down on the player characters by rolling D10. If you use the three-tier alignment, roll D6. 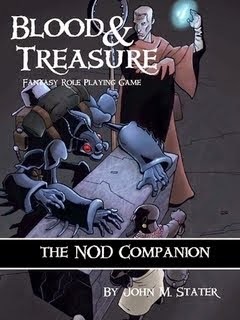 Next, determine the character's fate for that adventure by rolling 3d6. If the character is the same alignment as the deity, they enjoy a +2 bonus to their roll. If they are the opposite alignment, they suffer a -2 penalty to their roll. 17-18. You are beloved by the gods - add +1 to all d20 rolls during this adventure, and re-roll one failed saving throw. An interested god will be watching over the adventure. Whenever an accursed or loathed character performs an action in accordance with the deity's alignment (or any element of their alignment), they are permitted to re-roll their fate. Whenever a favored character does something in opposition to the deity's alignment (or any element of their alignment), they likewise must re-roll their fate. 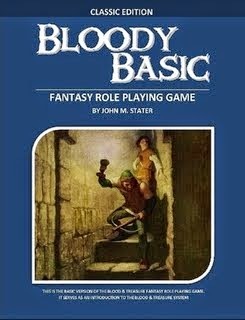 If you are using this system, you might want to add a couple spells to your game. Tell Fortune - 1st level spell for clerics, druids and magic-users; it literally tells the character's fortune (i.e. loathed, cursed, favored, beloved). Read Signs - 1st level spell for clerics, druids and magic-users; tells you the alignment of the deity watching over the characters during this adventure. The other way you can use a system like this is to put the characters' fates into their own hands. 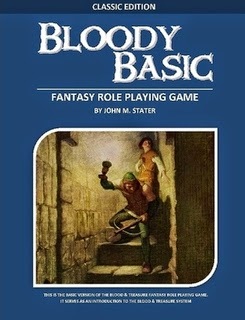 Instead of always rolling to determine a character's fate for an adventure, the player's instead offer themselves up for judgment. The system works the same way, it just puts the decision in the hands of the players. I’ve always enjoyed coming with variations on a theme, or variations on existing things in games. Of late, I’ve thought about doing themed variations on some of the existing races in Blood & Treasure – themes like the elements, or insects or animals. For my first theme, I choose elemental earth. These races could work well in a specialty campaign, especially one set underground or on the elemental plane of earth, or can be used in an exotic section of an existing campaign world. I'm not sure how well balanced these races would be, but you know - sometimes it just doesn't matter. If they look like fun, use them! Coal gnomes look generally like normal gnomes, save their flesh is composed of a substance not unlike coal. They have pitch black skin and beady eyes that glow like embers. These eyes give them darkvision to a range of 120 feet. Coal gnomes are not immune to fire, but they do have a strange resistance to it. When a coal gnome is struck by fire, it ignites and smolders. The coal gnome suffers one point of fire damage per round, and no more. While they smolder, they can score +1 point of fire damage with each successful melee attack. Coal gnomes have the same alterations to their ability scores as normal gnomes, the same knacks and the same ability to multi-class. They do not have any Spellcasting ability. Granite dwarves are stoic and seemingly emotionless; at least, they do not often show emotion. Logical and resolute, they look like dwarves carved from granite. 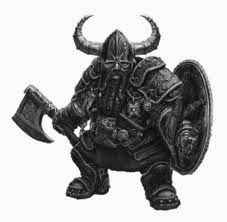 Granite dwarves have the same ability score modifications as normal dwarves, and the same knacks. Their skin gives them a natural AC of 12, and they have the ability to freeze as do gargoyles, for a maximum of 10 minutes. Granite dwarves have darkvision to a range of 60 feet. Granite dwarves cannot multi-class, for their minds are too focused. Crystal elves are as graceful and lithe as normal elves. Their bodies are seemingly composed of living crystal, in various colors and hues. They rarely wear clothing, but do adorn themselves with jewelry and sometimes capes or cloaks. A crystal elf’s skin reflects and refracts light, depending on the angle at which it is struck. When fighting in moderate illumination, all opponents engaged in melee combat with the crystal elf must pass a Reflex saving throw when they miss the elf in combat by more than 3 points, or be blinded for one round. In strong illumination, creatures locked in melee combat must pass this save each round, and creatures within 20 feet must do so when they miss the elf in ranged combat as above. The crystal elf’s body gives them a +2 bonus to save vs. rays. They suffer double damage from sonic attacks. 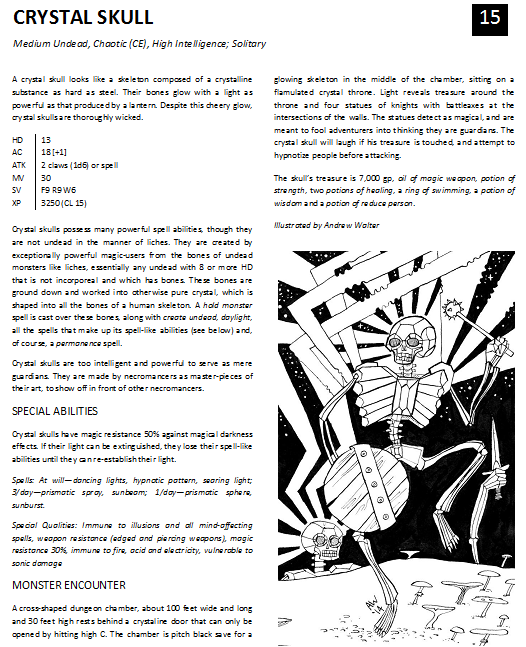 Crystal elves have the normal ability score modifications and knacks, darkvision to a range of 30 feet, and they cannot multi-class. Sandlings look like normal halflings composed of sand. They are quick and curious and have more abrasive personalities than normal halflings. Sandlings ignore one point of damage per hit from physical damage, but water and wind deals +1 point of damage per dice (or 1 point of damage if the attack doesn’t normally deal damage) to them. They have the same ability score modifications as normal halflings, the same knacks, and they gain a knack at escape attempts. The twins cannot re-merge until they get a full night’s sleep. If that sleep is interrupted, they split apart and must remain apart until they get another chance at 8 hours of rest. A couple years ago I had a little brainstorm that resulted in an article for NOD involving fantasy Napoleonic-era wars in a North America divided into a number of competing nations, not unlike the Europe of the real Napoleonic era. I planned to turn it into a game called 1800 - American Empires, and then ... well, I got a bit off-track. 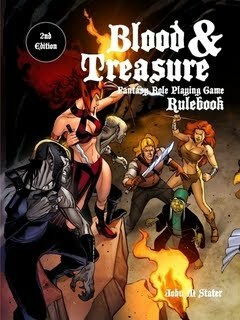 First and foremost, I got started on something called Blood & Treasure, and that sure took up a chunk of my time. Secondly, the huge hex map of North America I painstakingly created was lost due to a computer crash (don't worry, my daughter now has a much better understanding of what we do and do not click on on the internet). That really took the hydrogen out of my blimp. Well, even though it was put on the back burner, American Empires never completely left my brain. 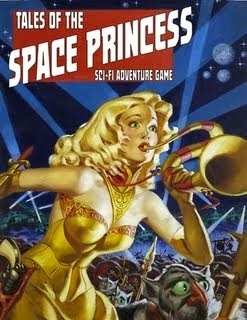 I still love the idea of the thing, and I think it's just about ripe for development. 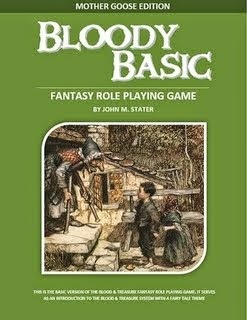 Now that I've put together the framework of Bloody Basic, I think it would serve as a great little engine for the game. 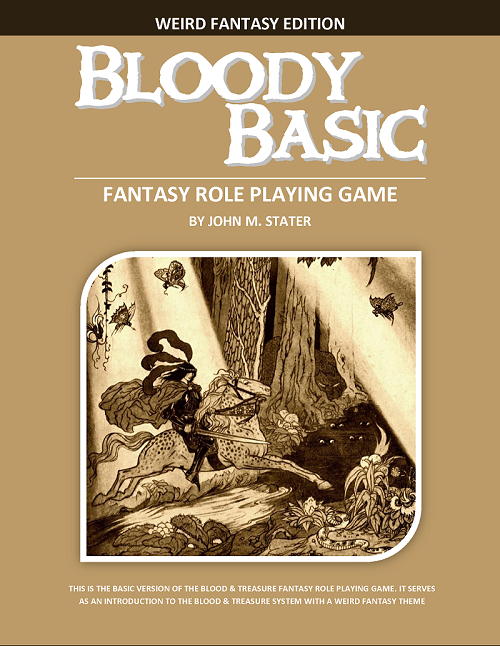 (By the by - still need to produce the soft-cover book for Bloody Basic ... dang, the time sure flies). 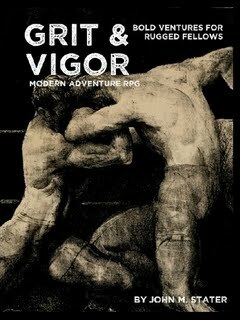 Grit & Vigor still has to take precedence once I've finished with the B&T Monster Tome (should be on sale next week, if all goes well). 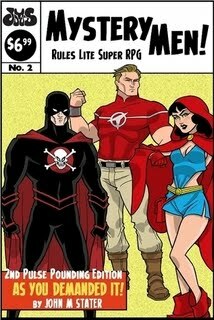 But once G&V is finished, and while I work on the next issue of NOD, I'm going to put some work into American Empires. Four classes (scout, soldier, venturer and magician), just one race, humans (though some other humanoids will show up as monsters, with some options for using them to play), a nice gazatteer of fantasy Napoleonic America (including a Napoleon-ruled Louisiana, Jefferson's Virginia Commonwealth, the stern Yankees of New England, Aaron Burr's Texican Republic and those red coats up on Canada), and lots of rules aimed at wilderness exploration (really wilderness as dungeon), armies and stronghold, colony and nation building. Should be a blast, and I look forward to doing it. 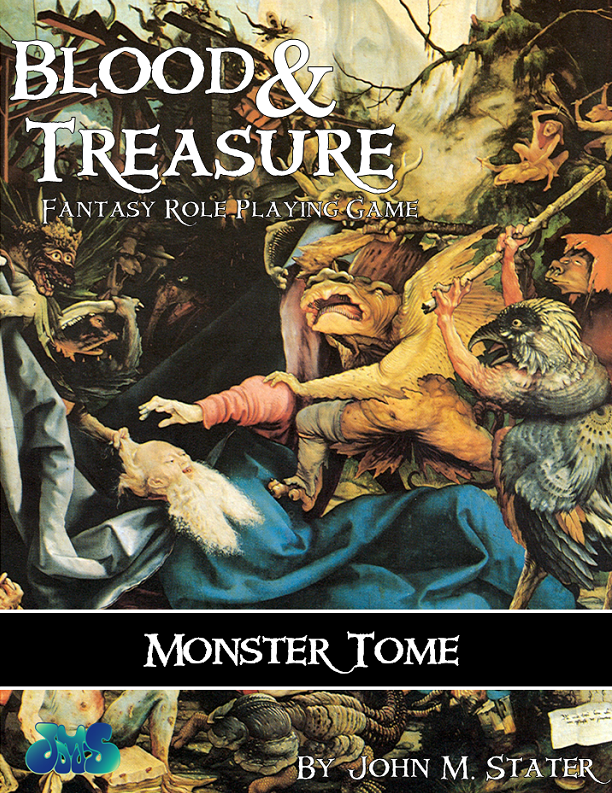 Now, since this post has been nothing but a commercial, I feel compelled to give a couple sample monsters from the Monster Tome, art included.